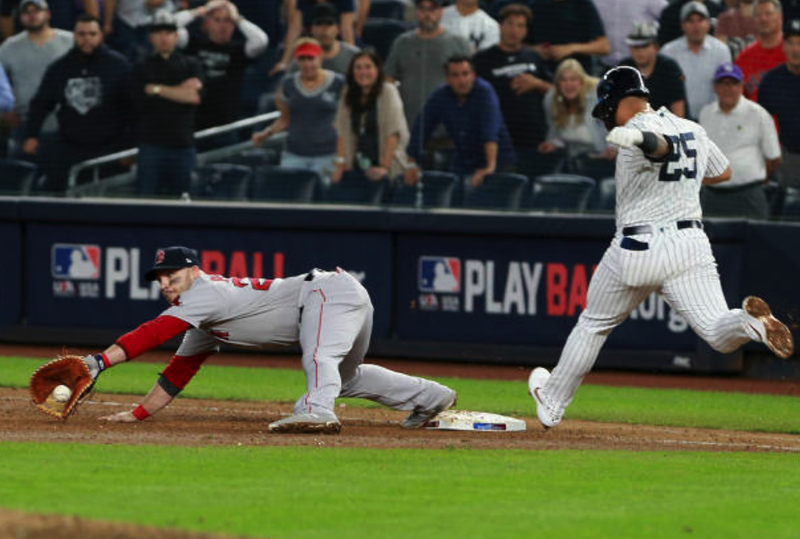 Steve Pearce will always be remembered by Red Sox fans for his 'stretch and catch' to end the 2018 ALDS against The Evil Ones. His acquisition by Boston last June ended a twisting MLB Odyssey that finally landed him on the roster of the franchise he rooted for as a kid. Despite growing up in Lakeland, Florida, Pearce was an early convert to Red Sox Nation. His Dad grew up in Rehoboth, Massachusetts and started the indoctrination of young Steve early on. Says Pearce, "I was brainwashed as a kid. Had no choice." Ironically, Pearce was selected by The Carmine Hose in the 10th Round of the 2004 MLB Draft (pick #305), but he decided to return to the University of South Carolina for another year—and was eventually drafted again, this time by the Pittsburgh Pirates. Since then, he has also played for every franchise in the American League East. He has been just as advertised since he arrived in Boston—for example, belting three HRs in a memorable August 2nd win against The Bronx Embalmers at Fenway Park. We are very happy that he has settled in with the team of his youth! Hopefully, he'll get a ring with them.